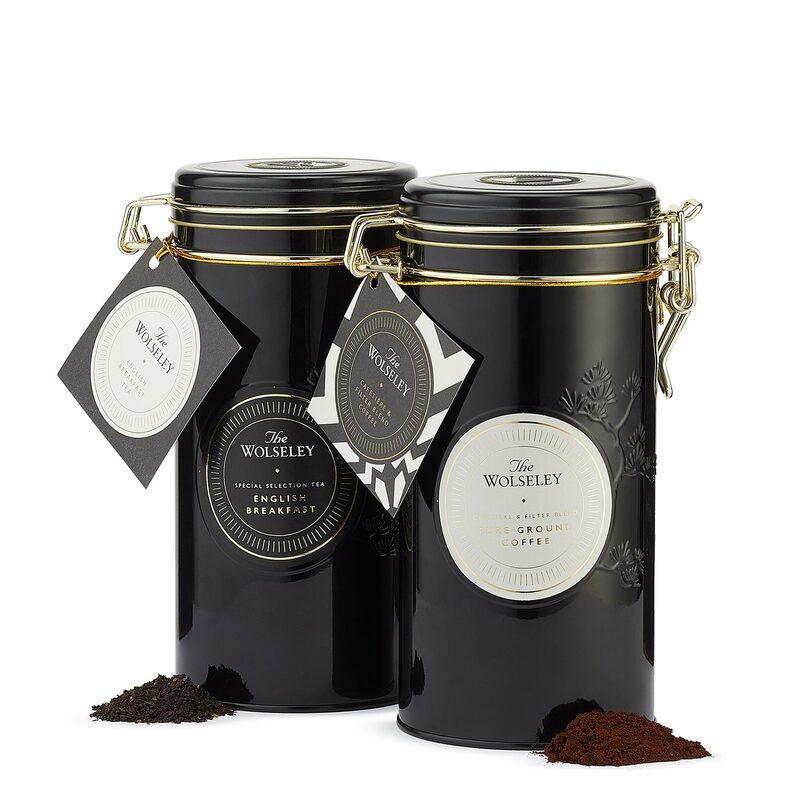 For an uplifting start to the morning, this gift set contains a reviving English Breakfast Tea and a rich yet smooth coffee blended especially for The Wolseley by master Italian coffee roasters. 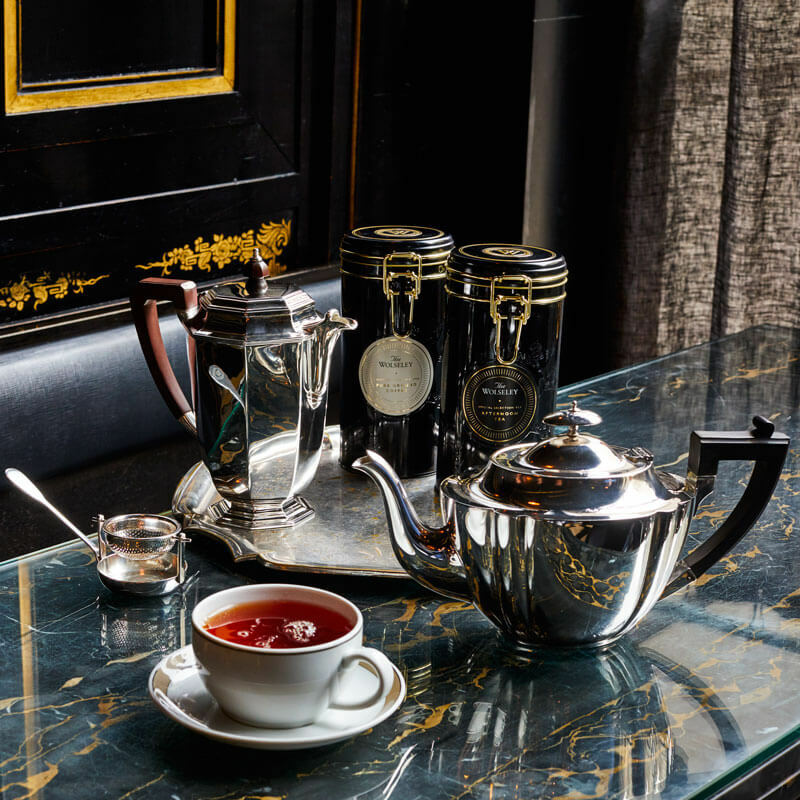 Our loose leaf English Breakfast Tea combines the strength of Assam, the smoothness of Ceylon and the brightness of Kenyan, to give an invigorating blend with a rich and full-bodied flavour. Our high-grade Arabica blend for use in a cafetière or filter machine, combines South and Central American coffees, with a twist of African and Indian, to give a deep flavour, natural silkiness and floral aroma. Both are presented in smart, re-usable black tins with gold detailing.